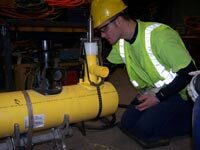 NGA and GTI - the Gas Technology Institute - are offering NGA member utility companies the opportunity to obtain GTI'S Natural Gas Field Skills Training Program. 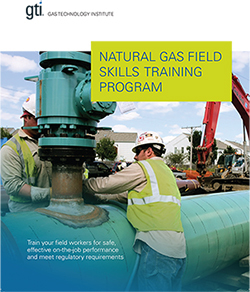 GTI's Natural Gas Field Skills Training Program is a series of instructor-led (ILT) modules designed for field workers involved in natural gas construction, operations and maintenance. The program, comprised of 77 modules in ten different topic areas, helps prepare field workers for safe, effective on-the-job performance and meet regulatory requirements for operator qualification (OQ) assessments. To establish consistent intercompany business gas construction practices and training, the Northeast Gas Association (NGA), GTI, and National Grid worked together to establish a regional collaborative pilot program. This 5-day/40-hour instructor-led training was a comprehensive program with Natural Gas Pipeline Construction Field Skills at the core. If you are interested in having your gas utility participate, please contact José Costa of NGA at jcosta@northeastgas.org; or Vanessa O'Neil of GTI at vanessa.oneil@gastechnology.org.